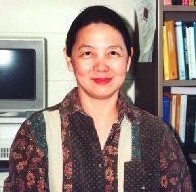 Lynn Kuo is a professor at the Department of Statistics, University of Connecticut. She received all her three degrees BS, MA, and Ph.D. in Mathematics from UCLA. She worked as an engineer at the Jet Propulsion Lab for three years after obtaining her MA degree. She is a fellow of the American Statistical Association, and an ordinary member of the International Statistical Institute. She worked as a research fellow at the Statistical Survey Institute at USDA, and later at the Statistical and Applied Mathematical Sciences Institute (SAMSI). Her research interests are in nonparametric Bayesian statistics, decision theory, biostatistics, bioinformatics, Bayesian phylogenetics, survival and longitudinal data analysis, omics data analysis, and survey sampling. She has published at least 90 refereed papers, one edited book, and supervised 13 Ph.D. students. She has served as an Associate Editor for the Journal of American Statistical Association and Naval Research Logistics, and numerous review panels for CDC, NIH, and NSF.